Boiledbeans » Beep.. Beep..? Take this! USA’s answer to the Soviet. What is this? 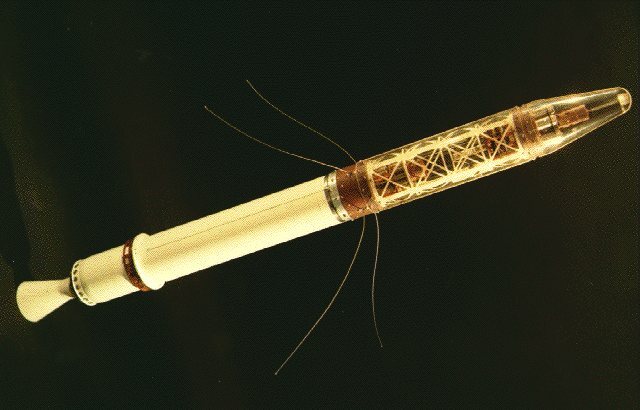 Explorer 1, USA’s first artificial satellite to orbit the earth. Explorer 1 (1958 Alpha 1) was the first Earth satellite of the United States, launched as part of its participation in the International Geophysical Year. Explorer I. US answer to Sputnik. Nice clue. Explorer 1 – USA’s Answer to Soviet’s Sputnik.